Why Do You Need a Restroom Trailer? We know that you need a restroom trailer, but do you know that you need a restroom trailer? 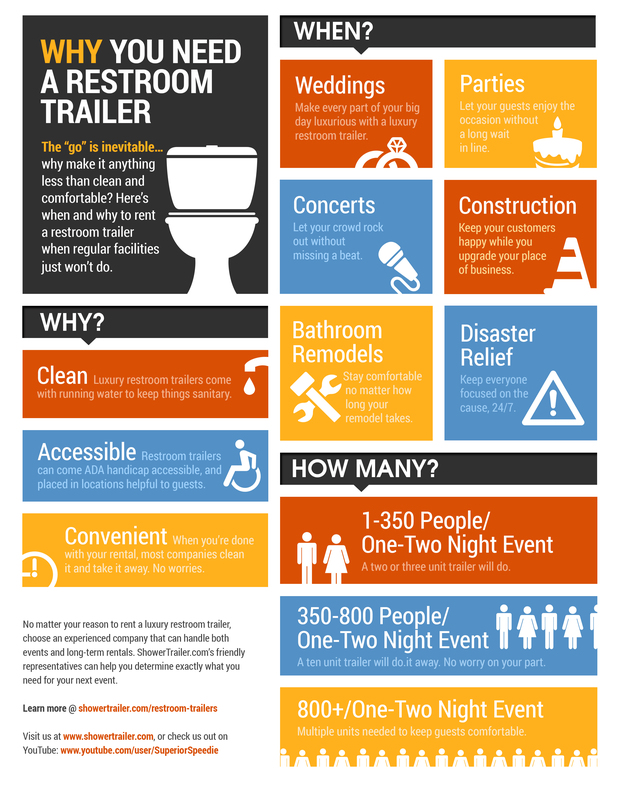 We've created this simple approach to help you better understand when and where you can use a portable restroom trailer for your outdoor wedding, fundraiser, concert or picnic. If you have any questions, contact our office or click on the live chat option below.